Windows form an important element in defining the character of any historic building. Consequently, the contribution that they make to a Grade II Listed Property must be understood before considering any alteration. 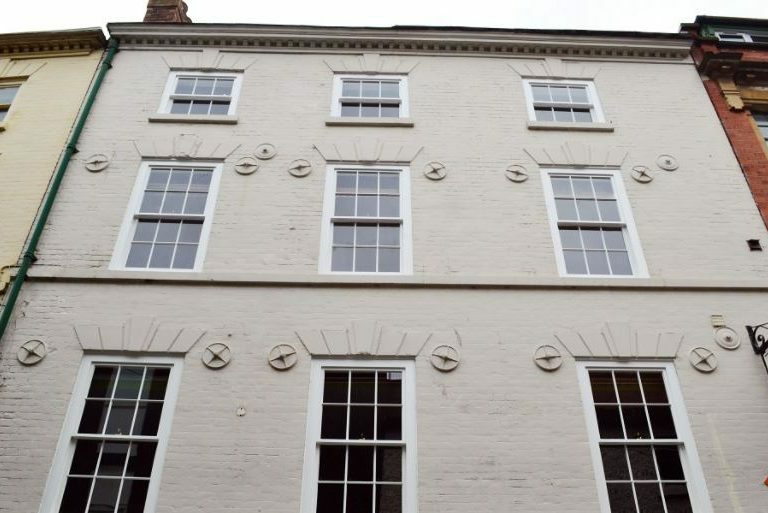 When Nottingham’s leading student accommodation provider, Thomas Fish Limited, looked to replace the windows on a Grade II listed property in the city centre, they engaged the services of Locus Consulting to help them address their fenestration needs. Situated in Hounds Gate, within the Old Market Square Conservation area, the four-storey property was listed in 1991. Originally a townhouse, dating back to the mid-18th century, the property now consists of a retail unit to the ground floor with student accommodation above. The fenestration works arose from the previous replacement windows being regarded as having a detrimental impact on the historic significance of the property. Working with Locus Consultancy, Thomas Fish Limited identified that the replacement windows needed to match the original twelve and six pane sliding sash windows which had been replaced with a series of four pane faux top-hinged sash windows. 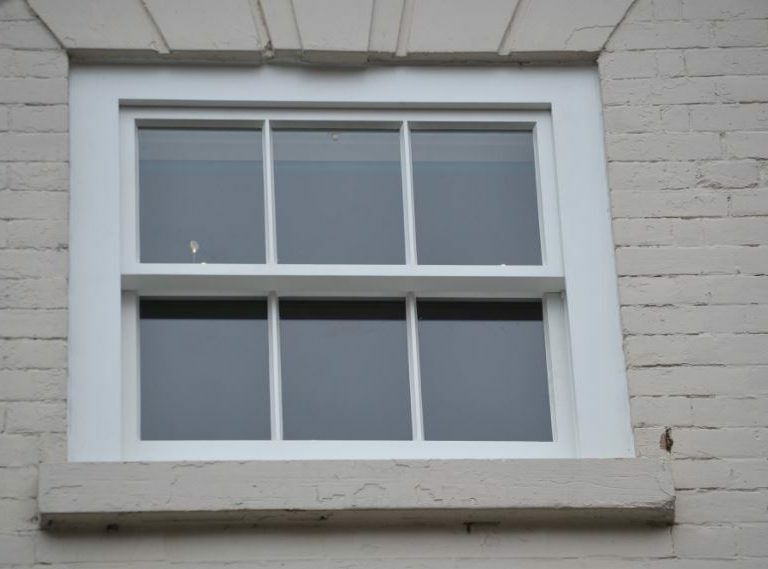 Working with our Approved Partner for Nottinghamshire, we manufactured nine box sash windows from our Historic Range. 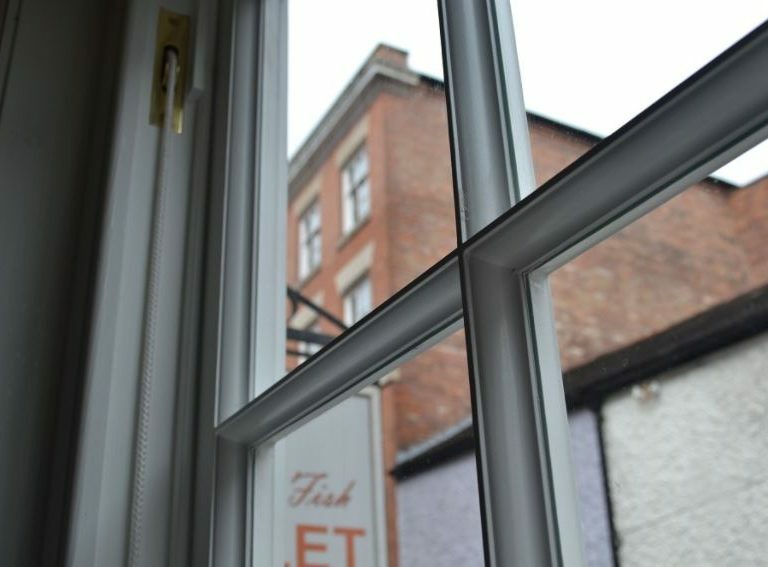 Based on the original cords and weights design, all windows are single glazed and incorporate a 21mm glazing bar with a traditional Lamb’s Tongue internal profile. 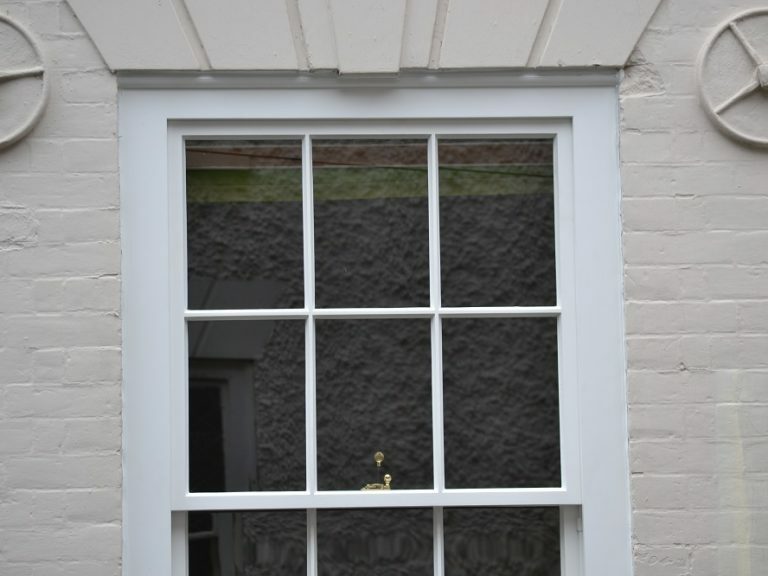 To accurately replicate the original windows, the glazing is held externally by a putty finish. 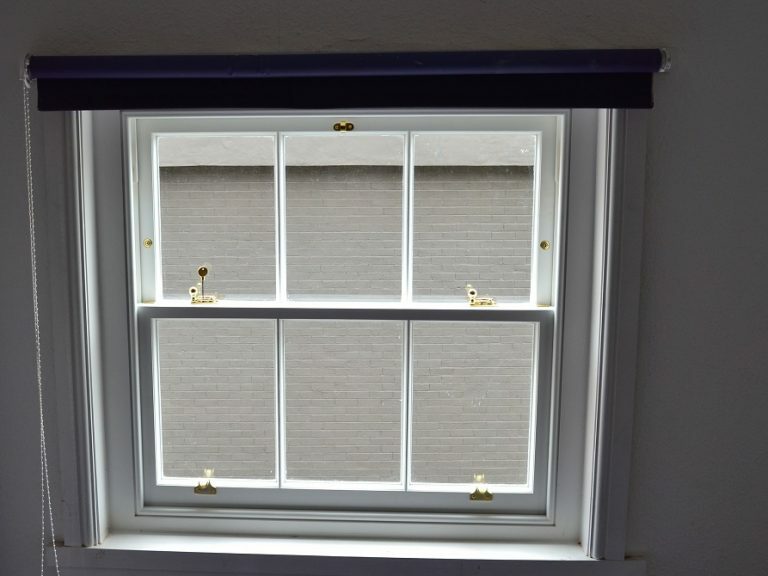 In addition, to complement the authenticity and to match the high quality finish of this stylish student accommodation, all sash windows have been fitted with furniture with a brass finish. The window furniture has been sourced to ensure high levels of security. The installation was completed within just five days, It was imperative that this work was carried our promptly to allow Thomas Fish Limited enough time to get the property ready for the new 2016/2017 student lets.